Join us on Sunday September 16, 2018 at 9:00am at Tewksbury High School for a 5k to raise awareness and funding for Into Action Recovery Inc., a Tewksbury based non-profit 501c3 dedicated to opening a structured and affordable, 12 step Sober Living Home for adults struggling with addiction. Runners and walkers of all abilities are welcomed and encouraged to participate. 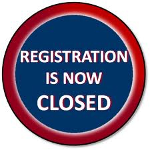 We are offering a $25.00 early bird special registration fee (plus processing fee) through July 15th. Register for our standard fee of $30.00 (plus processing fees) through Friday, September 14th at 4:00 pm and $35.00 on race day.